A new bill introduced this week aims at expanding eligibility for electronic health record incentives to mental healthcare providers and facilities. 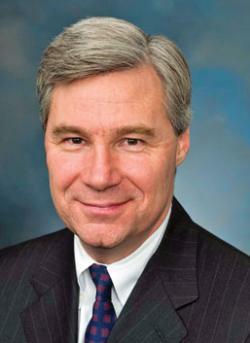 Sen. Sheldon Whitehouse (D-RI) introduced The Behavioral Health Information Technology Act of 2011 (S. 539) on March 15. Whitehouse, who strongly advocated for the investments in health IT made by the American Recovery and Reinvestment Act, applauded that law's impact in expanding the use of health IT but called for further efforts to include behavioral health, mental health, and substance abuse treatment professionals and facilities. "Mental health care is a critical component of our healthcare safety net, and allowing these providers access to cost-saving, quality-enhancing advances in health information technology will improve the care that millions of Americans receive," said Whitehouse. "By expanding the use of electronic health records, my legislation will give mental health professionals access to comprehensive and up to date medical histories, enhancing the precision of diagnoses and reducing medication errors." Clarify eligibility of community mental health centers, psychiatric hospitals, behavioral and mental health professionals, substance abuse professionals, mental health treatment facilities, and substance abuse treatment facilities for technical assistance from Regional HIT Extension Centers.